Product prices and availability are accurate as of 2019-04-17 18:37:43 EDT and are subject to change. Any price and availability information displayed on http://www.amazon.com/ at the time of purchase will apply to the purchase of this product. 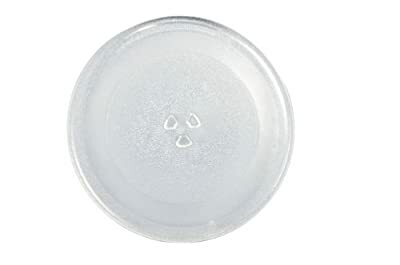 LG 3390W1G014A Microwave Oven Glass Turntable Tray. 12 inches in diameter. For use with the following LG Electronics models: LMV2053SB, LMV2053ST, LMV2053SW, LMVM1935SW, LMVM1935SB, LMVM1935T, LMV2083SB, LMV1976ST, LMV1925SWLG LMVM1935SBLG LMV1976ST, LMVM1935SBQ, LMV2083ST, MV197SJ, MV174DC, MV1760T, MV1843BSY, MV1943BS, LMV1825SBQ, MV2048ASDL, LMV2083SW, MV1942ASTY, MV1943BSL, MV1735B, MV1735W, LMV1825SB, LMV1925SB, LMV1925SBQ, LMV1975ST, MV2045ATSL, MV2048ASD, MV2045ATS. Refer to your manual to ensure ordering the correct, compatible part.